Following the success of our Mini Fests in October 2013, January 2014 & May 2014 the Serendipity Trust is held their fourth 'Mini Festival' in October 2014! Held at St Aloysius College, Galle, this event offered well over 480 primary and secondary students from 12 schools in the southern province a day of interactive and innovative workshops. 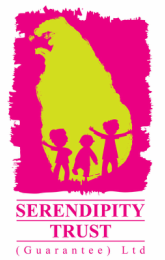 Our thanks also to the Ministry of Education (Southern Province) and the Department of Education (Southern Province) for supporting Serendipity Trust’s program of events for children in Sri Lanka.